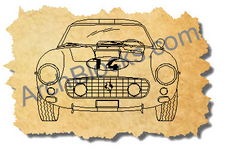 This full set of AutoCAD drawings of the 1961 Ferrari 250 GT SWB SEFAC, gives you the plan view, right side, left side, rear view, and front view. 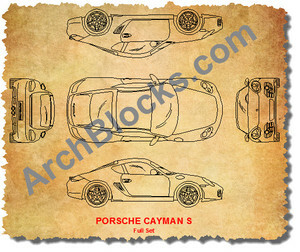 Also included is an elegant elevation view with a woman in evening attire. 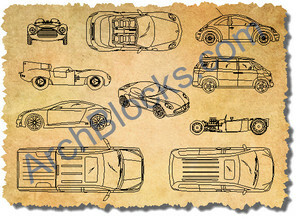 Drawn to real world size, these CAD drawings will fit beautifully into your design drawnings. 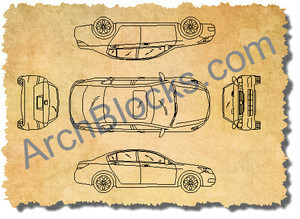 This CAD blocks sports car library comes with 6 CAD blocks of the 1961 Ferrai 250 GT as shown in the preview images above. Available purchase and to Download NOW!